T Godz release their newest single titled "Faded"
Check out the new single "Faded" from the T+GODZ. With this new single release they are buliding anticipation up for their new mixtape BLVCK DMDZ in which will drop in late November. Make sure to Follow the T+GODZ on all their social media! Hip Hop’s newest sensation N VIII(pronounced N8) PREMIERES his new video “Everything Good” from his upcoming album "Fashionalby L8te". 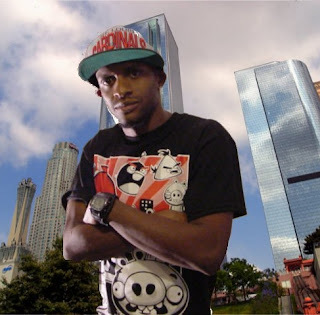 The Multi-talented superstar and his label Club Illionaire/3sixty5 Entertainment recently inked a deal with Penalty Entertainment’s Associated Label Division with distribution through Sony Red. Rapper Deladre drops smash new single titled " Blow A Bag"
Follow Deladre on twitter and instagram if you rocking with this! !